Nationally all schools will now publish a document called a ‘local offer’; which will outline what schools are offering for pupils with additional needs and/or disability. 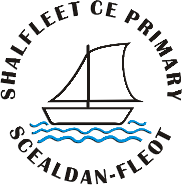 Please click below to download Shalfleets ‘local offer’. We have tried to make sure that we haven’t used jargon and that our school local offer is easy to understand. If you would like to comment on this please email us. Our school email address can be found by clicking on contact us. We are very lucky here at Shalfleet to have a small room in the Yr5 building called the Chat room, it’s a very comfortable, relaxed, safe place for the children to explore their emotions.